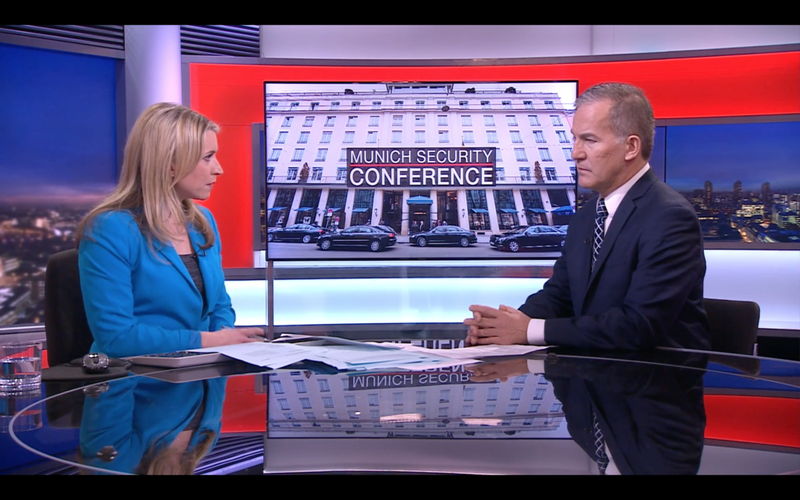 In this section I have curated a selection of broadcast media appearances - ranging from the horrible crash of MH17 in 2014 to a recount of my visit to South Sudan in late 2016 to the 2019 presidential election in Ukraine. BBC World News, August 17, 2018: On the occasion of World Humanitarian Day I discuss with Tim Wilcox the issue of mental health problems among aid workers. 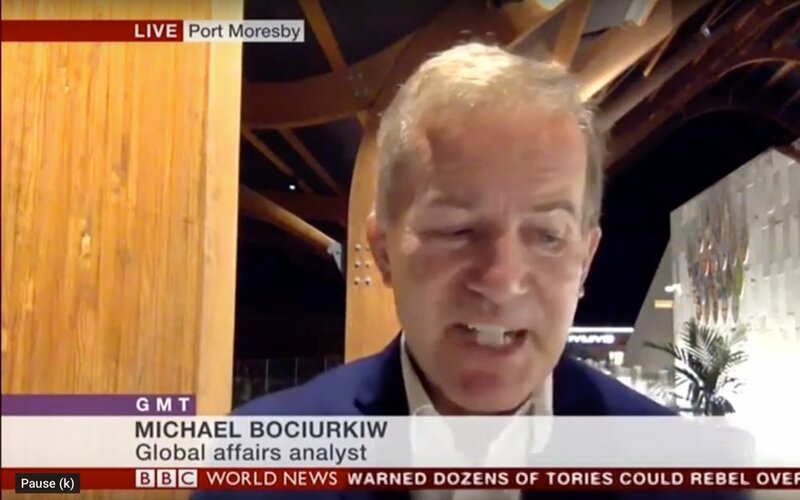 BBC World News, July 16, 2018: Breaking news live from New York - speaking to the host of 'Global' Matthew Amroliwawa about the just-completed press conference at the historic Helsinki Summit. 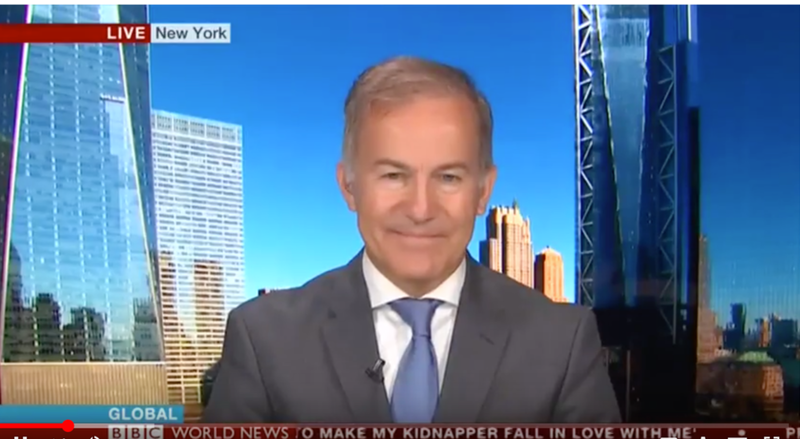 BBC World News, May 11, 2018: Live interview from New York - speaking to Karin Giannone on the shock electoral upset in Malaysia. I penned Dr. Mahathir's political obituary in 2003 and never in my wildest dreams did I expect him back in the Prime Minister's chair. "I would describe it (the UK's response) as a pin-prick for the time being, rather than hitting Russia with a sledge hammer. A lot more could be done...expelled diplomats can always be replaced." BBC World TV: Live interview from London Broadcasting House with Karin Giannone - on the situation in E. Ukraine and the latest on the MH17 investigation. Feb 18, 2018. "The one clear message that came from the relatives was 'what's going to happen next..."
At the site where Malaysia Airlines Flight 17 was downed in eastern Ukraine, inspector Michael Bociurkiw says rebels have allowed some access, but the inspectors are hampered by a lack of equipment. A year ago, a Malaysian jetliner was shot down over Eastern Ukraine, killing everyone on board. 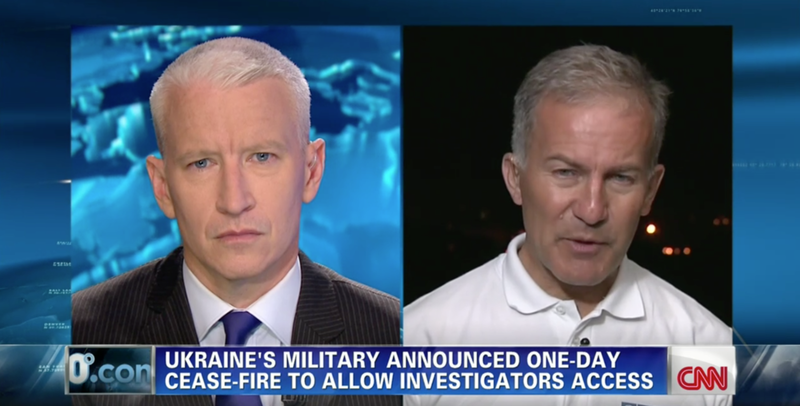 NPR's Scott Simon and Michael Bociurkiw of the OSCE discuss the investigation. Set against a backdrop of alleged government corruption and slow-moving change, the prime minister stepped down on Tuesday. Renee Montagne talks to Michael Bociurkiw, an independent expert on Ukraine.